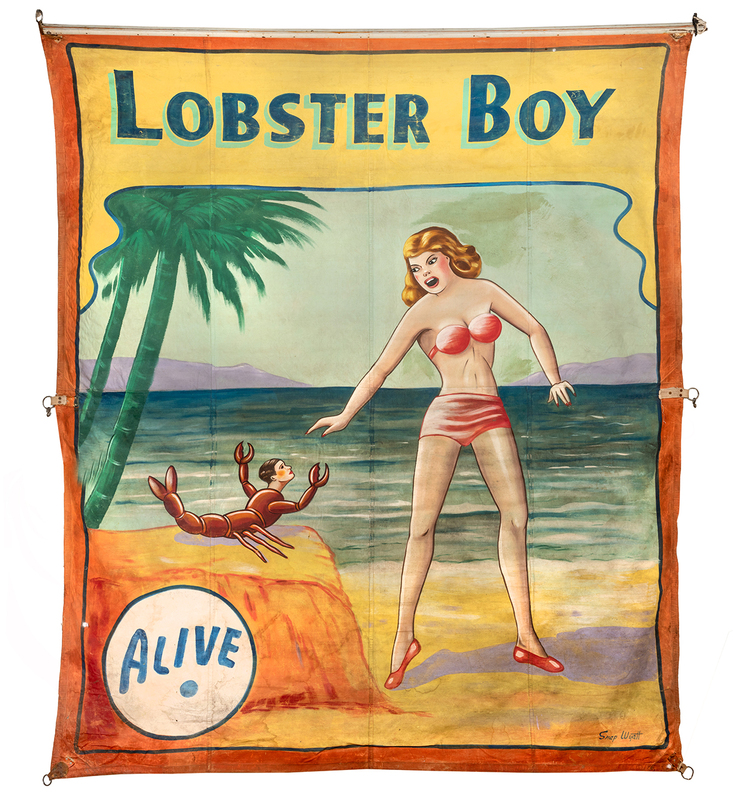 Lot Detail - Lobster Boy. Alive. Wyatt, Snap. Lobster Boy. Alive. Tampa: Snap Wyatt Studios, ca. 1950. Classic sideshow banner depicts a tiny lobster with a man’s head, one claw outstretched, sitting below a terrified damsel. Wooden batten at top. 136 x 115”.